Dr. Richard Mark Felder is Hoechst Celanese Professor Emeritus of Chemical Engineering at North Carolina State University, Raleigh, North Carolina. He is a coauthor of Elementary Principles of Chemical Processes (4th edition, Wiley, 2015), which since 1978 has been used as the introductory chemical engineering text by roughly 90% of American universities and a number of universities elsewhere, and he has authored or coauthored four book chapters, over 150 education-related papers and over 100 “Random Thoughts” columns, and numerous papers on chemical process engineering. Together with his wife and colleague, Dr. Rebecca Brent, he coauthored Teaching and Learning STEM: A Practical Guide (Jossey-Bass, 2016), presented over 600 teaching and faculty development workshops and seminars throughout the United States and abroad, and regularly contributes to their blog. 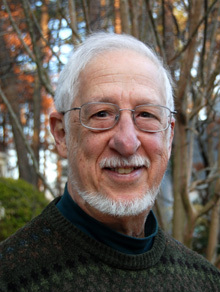 An interview with Richard M. Felder, Journal of Science Education, 3(2), pp. 62-65 (2002). Richard M. Felder — An Author, An Educator…A Legend, ChE Thoughts, Bangladesh University of Engineering and Technology, September 2010, pp. 40-48. Richard Felder: Traveling off the Well-Paved Career Path, University of Washington Center for Engineering Learning and Teaching (2015). Active Learning with Richard Felder. A 12-minute video on YouTube in which Dr. Felder explains what active learning is and why it works and shows several illustrative clips of its use in a 125-student engineering class. Creating Partnerships: Active Learning in an Engineering Class. A 32-minute video narrated by Drs. Felder and Brent showing Dr. Felder using active learning to guide students through the solution of a complex problem. Lifetime Achievement Award in Engineering Education (inaugural recipient), American Society for Engineering Education (2012).